During one of my early test drives with the interior of the car gutted, I realized that the interior of the car was getting pretty hot. My suspicions were confirmed when I took infrared thermometer readings on some surfaces inside the car. 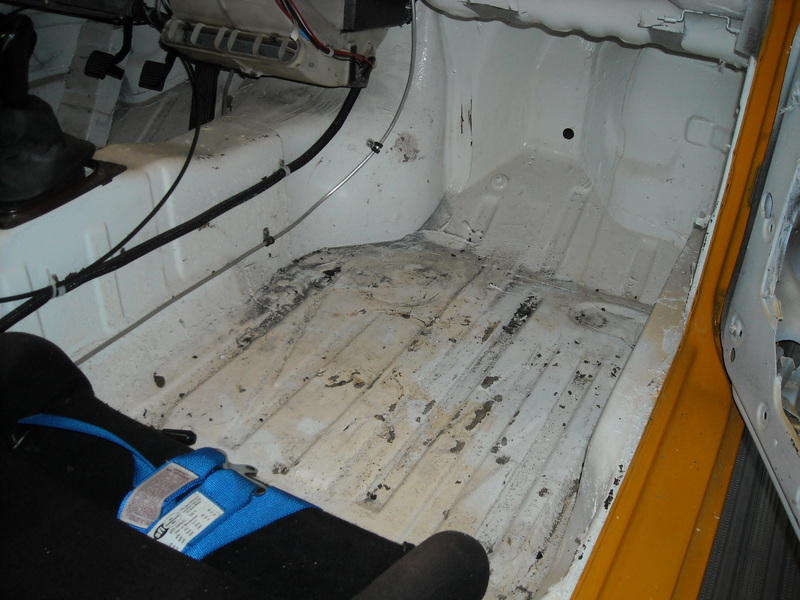 The worst offender was the passenger side footwell, which was reading over 140 degF! The central torque tube tunnel was also pretty hot on all sides. Of course, there are headers on the right side of the engine and then the exhaust system runs under the car. This heat was coming into the cockpit in spite of the fact that I had left the factory thermal insulation material intact on the firewall. 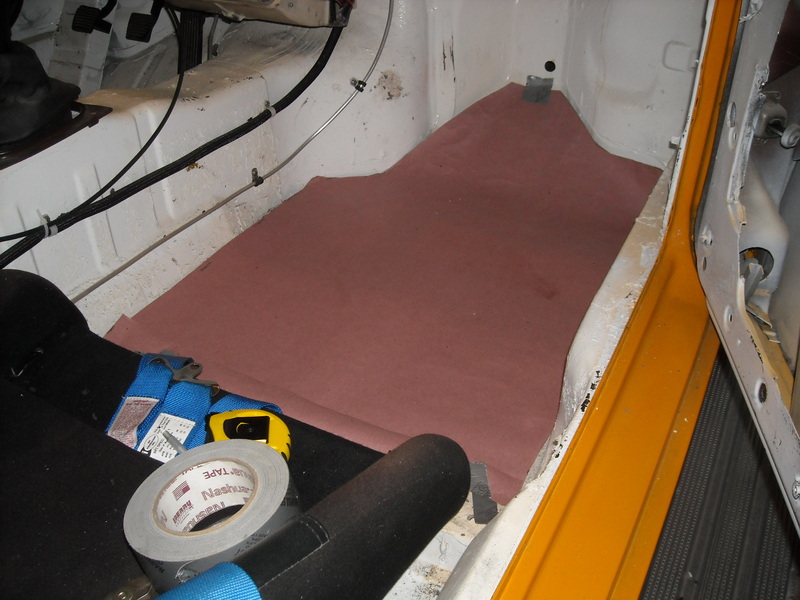 I had used KoolMat brand heat insulation material successfully before on my Jaguar E-Type and decided to try it again on the Porsche. 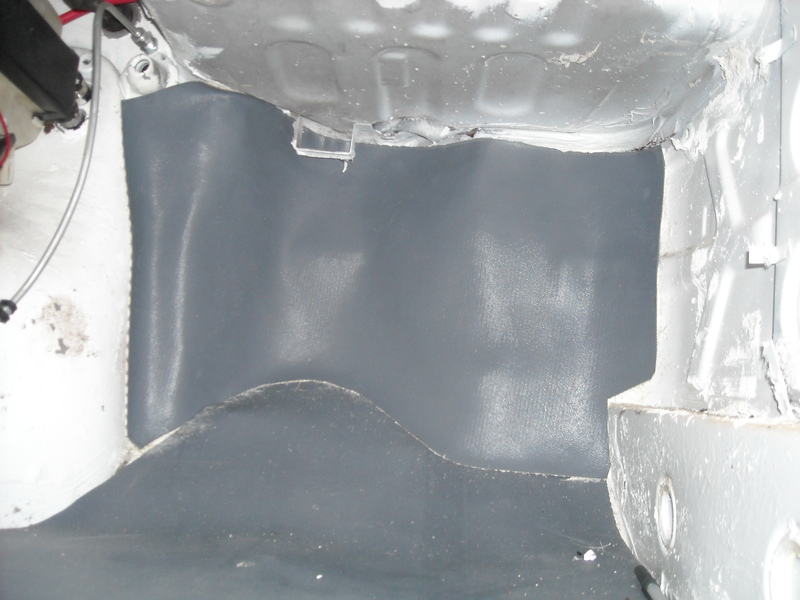 I found KoolMat to be a very well engineered product for heat insulation. It is also pretty easy to install. 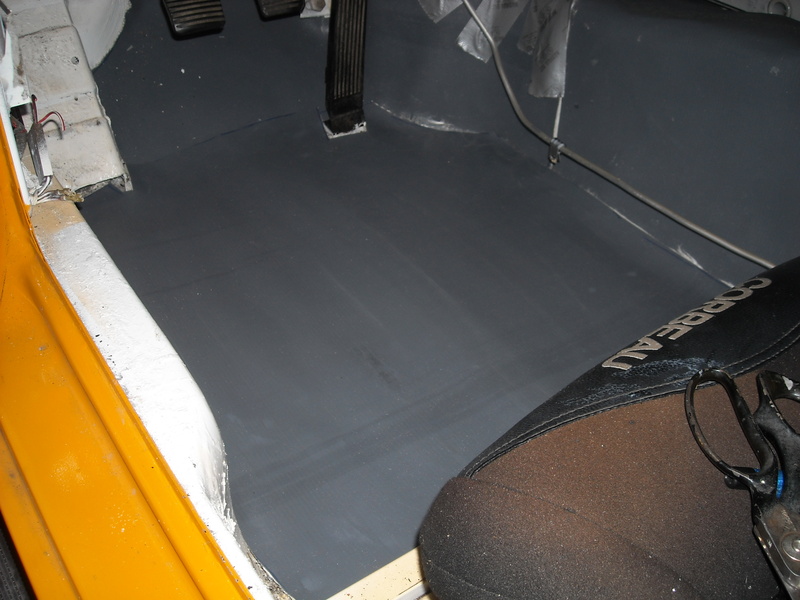 Click on this link for the article on the installation of KoolMat in my E-Type. So I proceeded to do a rough take-out on how much KoolMat material I would need and proceeded with the installation. The material can be cut easily with heavy scissors. It can be glued down with contact cement. I have used both the aerosol type and the brush on type. The brush on type is much cheaper. 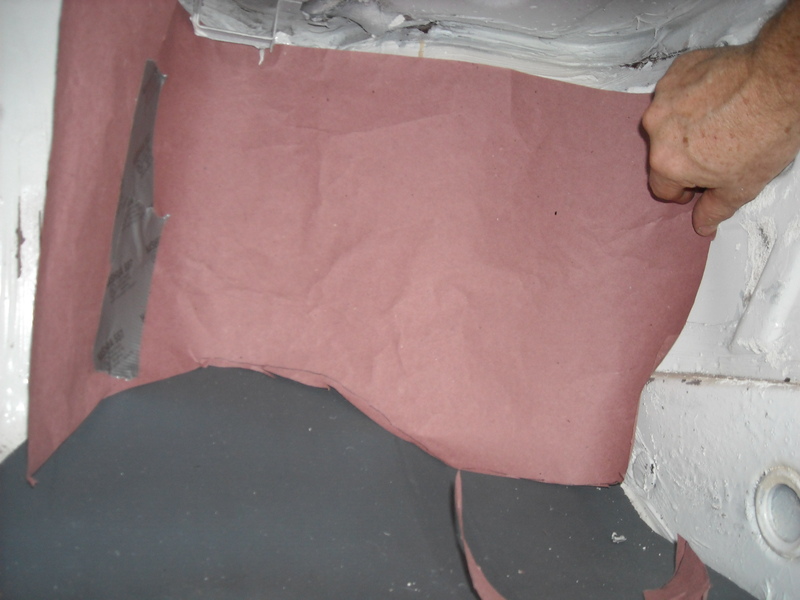 Seams at the edge of the individual pieces are sealed with silicone caulk. The end result was a dramatic drop in cockpit temperatures! 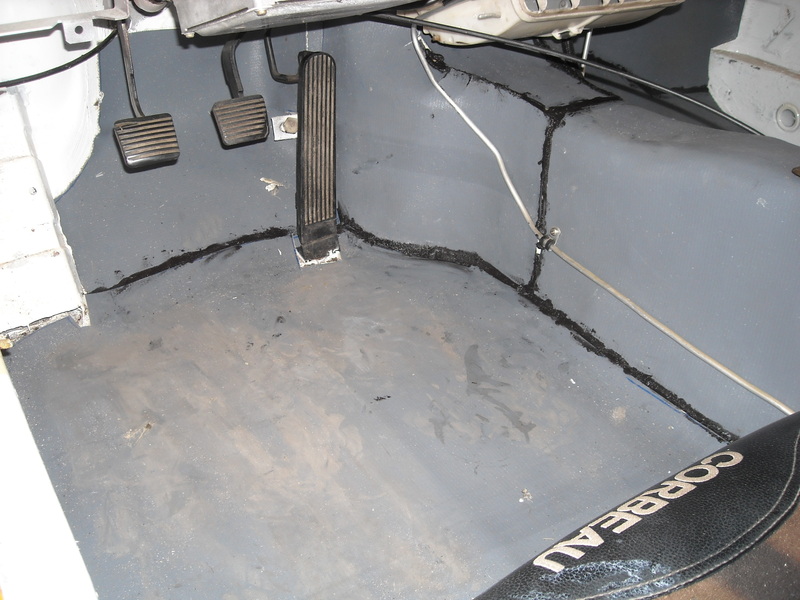 Here is the passenger side footwell, which was showing the highest temperatures, due to the exhaust header on the other side. I use this heavy red paper, which is sold at building supply stores like Home Depot , to make patterns. This is the most important piece, as this surface was the hottest. The KoolMat conforms to single curves with no problems. With compound curves you may have to cut some slits. Here, the gaps are sealed with black silicone caulk. The metal line is for the fire system. 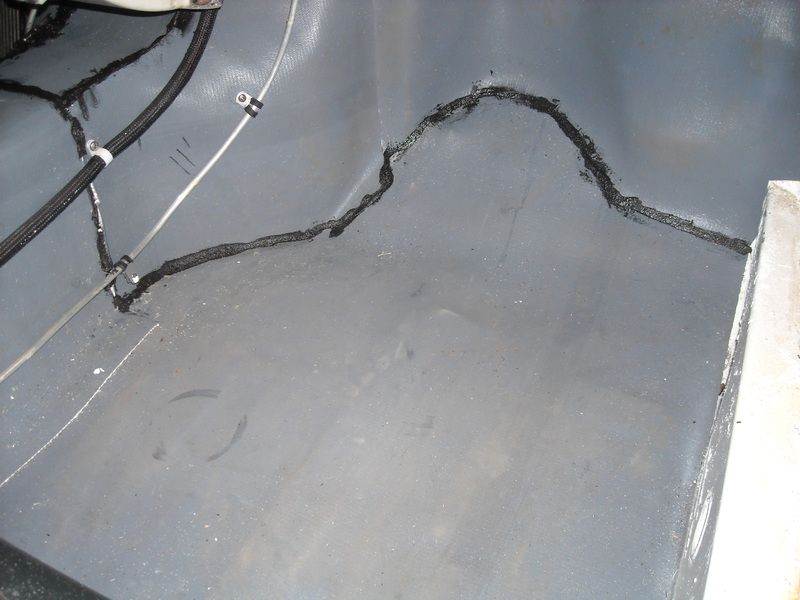 The black cable is the wiring to the rear of the car.